The ZD9TT DXpedition, originally planned for September 2014 and later postponed to September 2015 because of transportation problems, has been cancelled. The Italian DXpedition Team will no more advertise its plans in advance. We regret that this decision might affect the plans of other Teams, we feel compelled to adopt this policy due to the course of events. The Italian DXpedition Team announces its next DXpedition to Tristan da Cunha. The call will be ZD9TT. Likely dates will be in the period September - October 2015. The DXpedition will last a total of five weeks, of which two for travel and the middle three for operation. The main aim of the DXpedition will be to work the greatest possible number of unique calls, thus offering a possibility also to Little Pistols and QRP stations. All bands will be activated on CW and SSB, but RTTY operations will be confined to the 14 MHz band. When we refer towards Tristan da Cunha two aspects come into mind one an aggregation of volcanic islands situated in the Southern Atlantic Ocean and second is the main island belonging to the same group. An interesting point to highlight here is that it’s considered as the remotest archipelago of the earth where people live. It is located at a distance of 2000 km from Saint Helena. The Tristan da Cunha is included in the British overseas territory of the Saint Helena. In the year 1506 the initial sighting of the islands was carried out by Tristao da Cunha who was actually an explorer from Portuguese. After he made the decision of naming the main island after his or own name Ilha de Tristão da Cunha and in this manner the name of this island was established as Tristan da Cunha. The initial recording of the landing was made in the year 1643 by the crew members of Heemstede. After this the first ever survey associated with archipelago was carried out in the year 1767 by French frigate. Since then the status of island became prominent, but real popularity came in the year 2011 during the month of November when one of the participants of the Volvo Ocean Race named as the Puma’s Mar Mastro reached the island after the breaking of its mast in first leg. This was the main event which resulted into great media coverage and the lifestyle and ways of living of the local inhabitants became prominent to the population of this world. 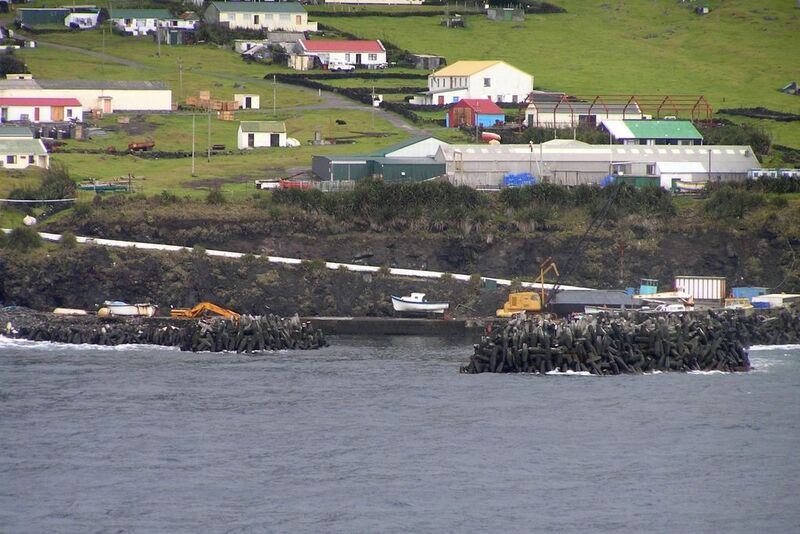 Since then people have shown great interest in Tristan da Cunha and now slowly it is getting famous around the globe. The Tristan da Cunha is easily the most prominent and noted island of the archipelago and it has the inclusion of below mentioned islands. Main Island is very mountainous and Edinburgh of the Seven Seas is the only flat part of the island and is situated at the northwestern coast. Queen Mary’s Peak is regarded as the highest point and during most of time during winters it’s covered by the snow. Other islands included in this group known to be uninhabited excluding some part of Gough Island. The elevation of this peak is 2,062 m above sea level. Mary of Teck was a queen consort after which the peak has been named. The mountain actually acts as peak of a shield volcano that makes an island. A summit crater of 300m covers the peak also Crater Lake, which is shaped like a heart is present here. An interesting point to highlight here is that the peak of Queen Mary was used by the sailors for navigational reasons in the past. According to the historical evidences the first prominent attempt for climbing the peak was carried out in the year 1973 by Louis-Marie Aubert du Petit-Thouars who was a naturalist from France however it didn’t yielded any success. After this reports suggest that in the year 1817 successful attempt of climbing this peak was carried out. Coming towards present times this peak provides a steeper as well as wonderful climb and normally five to ten hours are required in accordance with walker’s capability. You can only walk of do the climbing with the assistance of local guides. 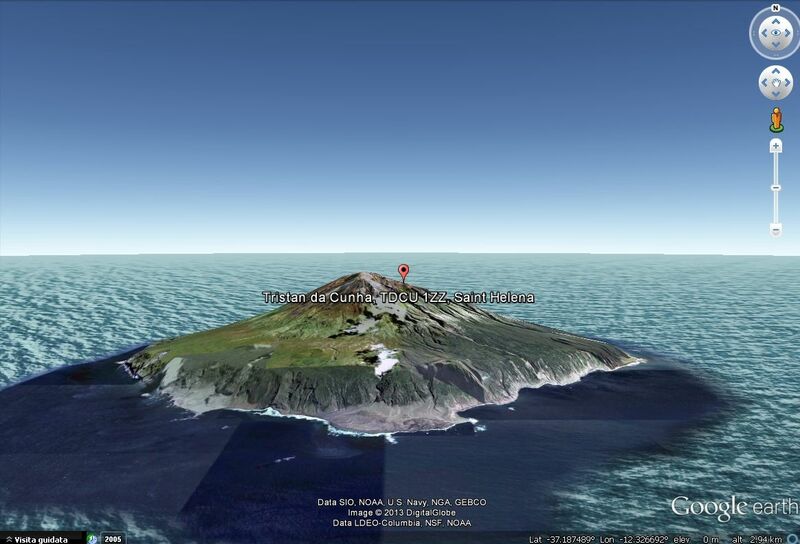 In case you are interested in the reserves of wild life, then Gough Island will be an ideal location for visiting. It is counted in one of the World heritage sites of UNESCO. Different types of birds are known for migrating here and because of this reason it has become a special interest of nature lovers. Following places always manage to capture special interest of visitors. all these places contain a very high level of natural beauty and tourists give great preference to these sites as well as locations. The shape of island is circular and it has a diameter of 10 km. People of this island are very friendly and have a welcoming nature and always greet visitors with great enthusiasm. The clearer blue seas are filled with fresher water and tourists normally love the idea of swimming during the summer season. For entertaining people it is not difficult to find cafes as well as bars here and all kinds of drinks can be found here. Fishing is the main source of income for the people of this island. With the passage of time popularity of Tristan da Cunha is mounting and it is becoming a famous spot for spending holidays. Here it is important to highlight that because of their remoteness the islands stayed out of lime light for an extended time periods. But not slowly they are getting popular with the passage of time it is being expected that things will improve to great extent. It’s a place for those who have a love for nature and want to enjoy some beautiful scenery. For raising a family it can be regarded as the remotest part of this world. The island acts as home to 250 residents of Britain which are enjoying peaceful lives here. It’s a place for those who want to enjoy lives away from the busy crowds of modern era. In short, it is a wonderful and highlighted location which holds many wonders of nature inside it. The climate is wet oceanic climate where temperature is pleasant as well as consistent. With limited sunshine heavy rainfalls are associated with this region. The Tristan da Cunha is one great place that has all the potentials so we can easily regard it a place with great reserves of wild life.